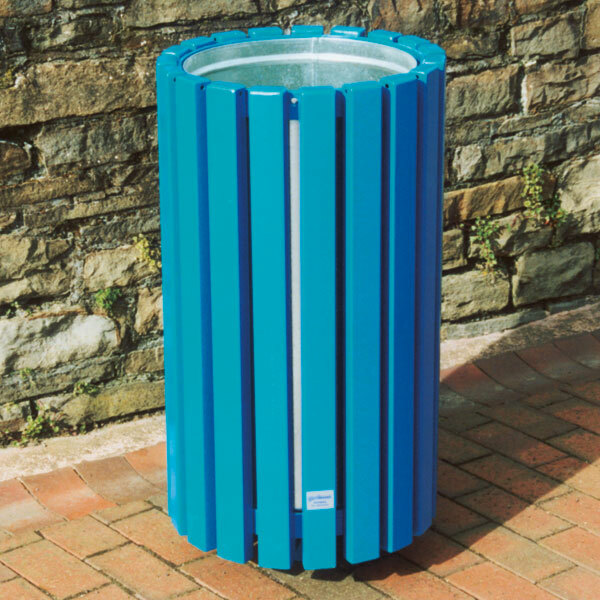 We manufacture three sizes of litter bin: 55 litre, 110 litre and 220 litre. All have strongly constructed steel frames and are designed to complement our range of seats. 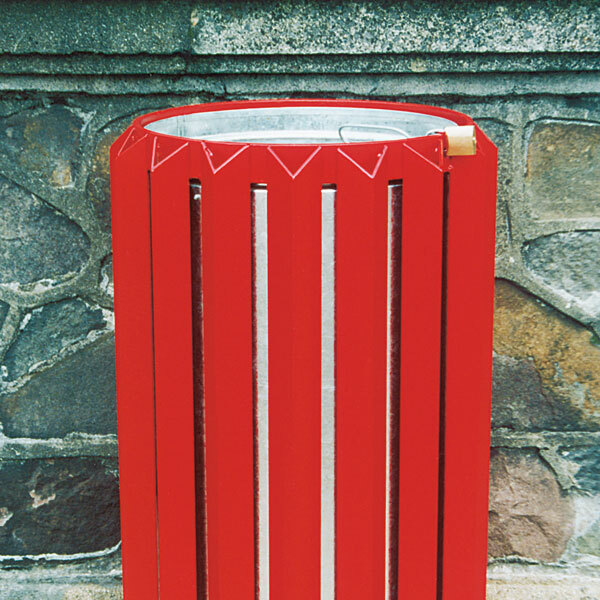 The most popular designs are the versions with lids, which reduce the risk of the rubbish being blown out, or removed by birds. Most can now be specified with a galvanised single post mounting, which makes mechanical cleaning around the bin easier, if required. 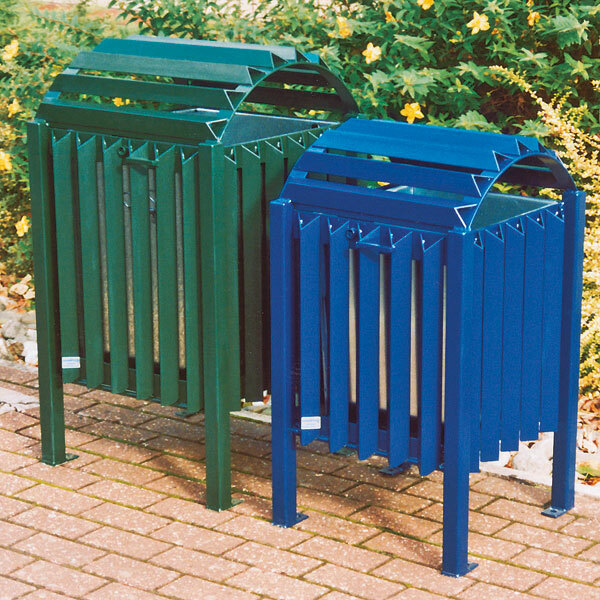 These bins will survive in environments where other designs will not, and are particularly resistant to damage caused by fire. Available as standard with a galvanised single post mounting. This popular design is fully welded and is highly resistant to fire, and attack by vandals. It has a capacity of 55 litres, and has a single circular hollow leg. 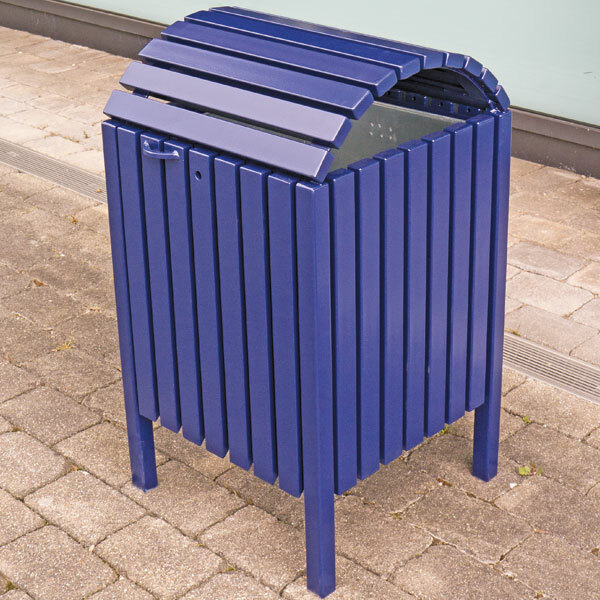 Immensely strong and attractive, this bin is available with either a galvanised single post mounting, as shown, or with all four corner posts extending into the ground.